Belfast native and street artist Tim McCarthy describes himself as an alchemist. He’s well versed in the black art of growing chillis and then using them to create some fiery sauces. He gathered a lot of knowledge globetrotting around North and Central America, India, Europe and the Middle and Far East for 30 years. 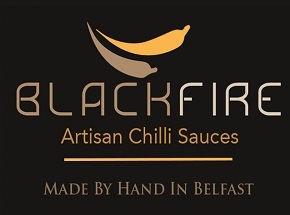 He set up Blackfire Food in 2014 to satiate his appetite for fiery food. He grows 2 dozen varieties of peppers from medium-hot up to super hots as well as many of the vegetables, fruits and herbs used to create the sauces. The ingredients are as close to organic as possible with zero food waste in the process. The sauces are sold in some Belfast shops and Tim is interested in supplying restaurants. 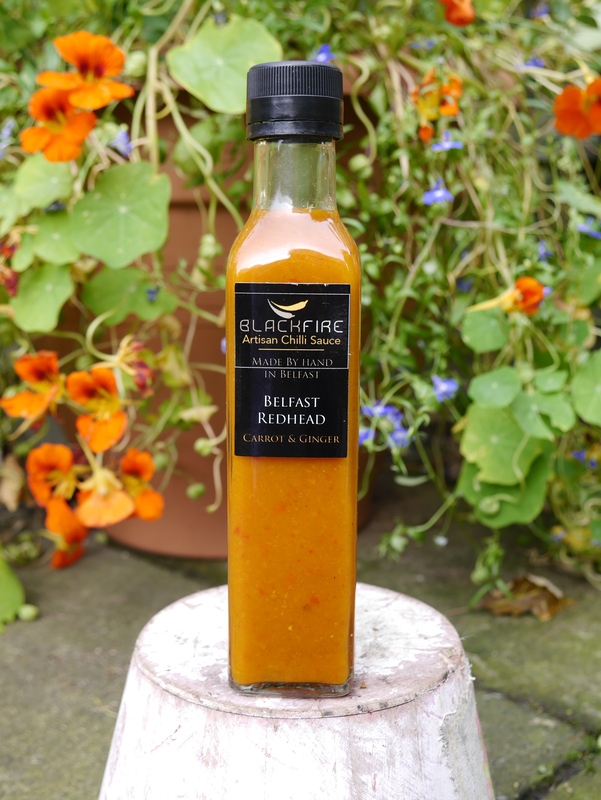 He also produces limited batch seasonal sauces with ingredients from hedgerows and seashores which are available exclusively for Blackfire Hot Club members. A chilli co-op? We love it! Hothouse (with Pears and Ginger), Samson (with Mango and Dulse), Botanic (with Roasted Green Peppers and Garlic) Belfast Redhead (with Carrot and Ginger) Firebrand (with Irish Whiskey, Hickory Smoke and Chipotle Chillies). Sawers, The Nutmeg, The Wicker Man, Studio Souck and available from the website and on social media.